Digital painting tutorial Spiderman. 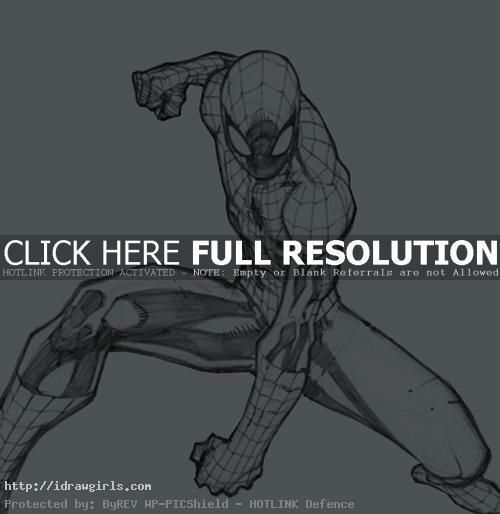 This tutorial is a typical American comics style painting or coloring over a dawing of Spiderman. If you want to check out basic drawing tutorial of Spiderman go watch the video How to draw Spiderman. 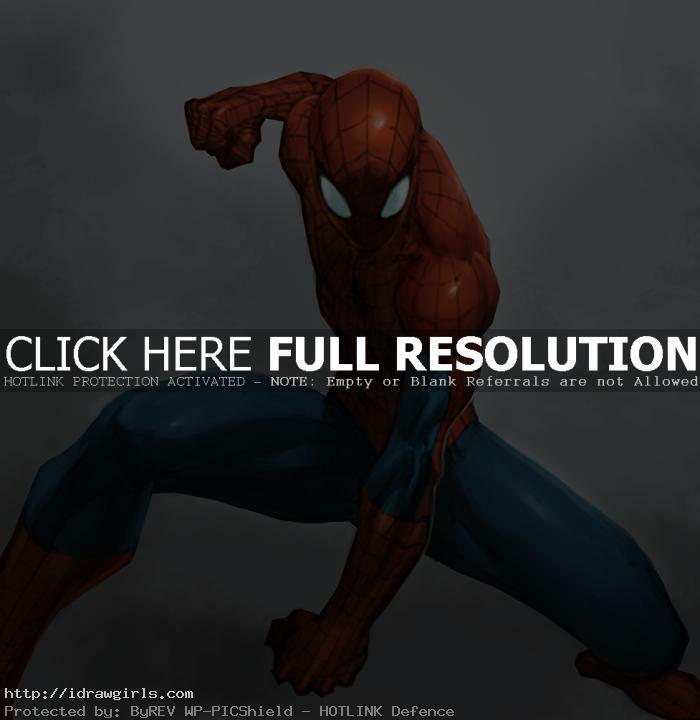 In this post, you will learn how to color Spiderman painterly comics style from step by step images using Photoshop and Wacom tablet. It is a typical American comics book style coloring, mostly cover art. This is different than my usual concept art style of painting. The tutorial is suitable for anyone from beginner to intermediate level. I highly recommend Wacom intuo and cintiq tablet because are the most common and widely used among professional colorists and comics artists. In this tutorial, I will show you a simple way to approach digital painting using lines then value. I spend about thirty minutes to complete this particular digital painting for a demo purpose, not a refine finished piece by any mean. Hopefully the tutorial will help you gain knowledge of coloring in Marvel way. Spider-Man is a fictional character, a Marvel Comics superhero created by writer-editor Stan Lee and writer-artist Steve Ditko. The bite of an irradiated spider granted high-school student Peter Parker incredible powers. When a burglar killed his Uncle Ben, Peter vowed to use those abilities to protect his fellow man, driven by his uncle’s words: With great power comes great responsibility! Peter can cling to most surfaces, has superhuman strength (able to lift 10 tons optimally) and is roughly 15 times more agile than a regular human. The combination of his acrobatic leaps and web-slinging enables him to travel rapidly from place to place. His spider-sense provides an early warning detection system linked with his superhuman kinesthetics, enabling him the ability to evade most any injury, provided he doesn’t cognitively override the autonomic reflexes. Note: his power enhancements through his transformation by the Queen and after battling Morlun – including his organic web glands and stingers – have been undone after Spider-Man’s deal with Mephisto. Here is a final coloring of Spiderman. This tutorial is a bit different from all my previous tutorials because I color over a drawing of Spiderman from Joe Mad. Here is an original drawing of Spiderman from Joe Mad. 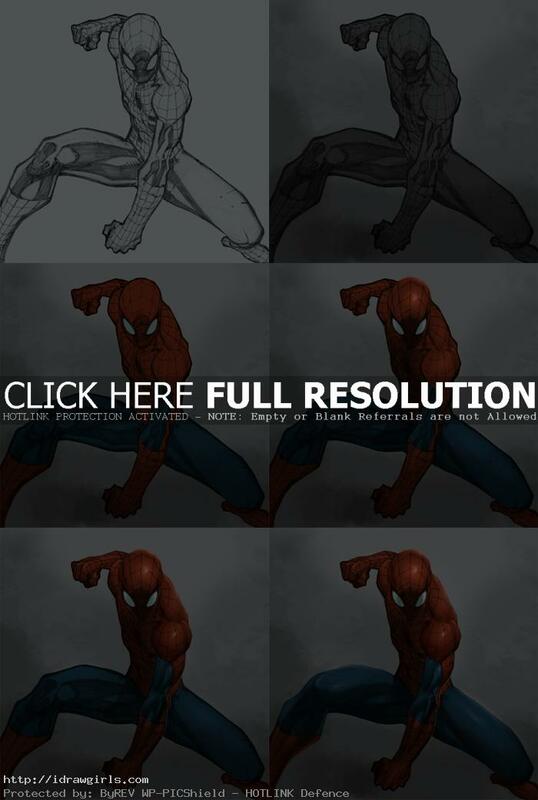 Below are step by step how to color Spiderman. Step one, I scan the drawing in then put it on top layer and turn it into multiply mode. From there, I am going to paint under the layer. Step two, I paint using mid gray tone on the body under the top outline layer. Step three, I then add another layer on top of the medium gray tone using color. Step four, I add basic light and shadow on top of the color, then merge all the layer into one. Step five, I just pick the existing color then rearrange shape and form on top. Step six, I then cleaned up the color and refine the bottom part. Done! Epic sketch, epic pose, epic color job. Love it. Would u consider this one of your easier painting tutorials? I’m trying to learn to paint digitally. well i started recently painting in photoshop, but i am no good in lighting on object, let me know the lighting tutorials, do you have any links that could help me to improve my lighting skills. I painted over it. It’s called hot spot, you have to know where the lighting direction is. This one is pretty straight forward lighting 45* top down. Watch the below tutorial, it has similar process. How do you make the specular on the top of his head? Overlay and color layer. Either one will help, but I usually paint on normal layer. I used the “Overlay” color tend to make the screen dimmed, do not know how you handle this?